Early childhood education specialist Kathy Lee has seven children, five of whom are adopted. One of her daughters seemed to be having a tough time. She rarely smiled, according to Lee. They started volunteering at Save the Horses, a sanctuary for rescued horses near Canton and Cummings in north Georgia about two years ago. There, her daughter bonded with one horse. “The horse changed and my daughter changed. My daughter, who was kind of grumpy, now smiles all the time,” said Lee. That effect is what Lee and Rachel Pate, a teacher and mother, want to offer more children. They run Barn Buddies, equine-assisted therapy for adoptive families and children in foster care. “The nine month-long program provides kids ages 8-15 with a haven in their unsettled world and a safe place to experience the unconditional love and joy of an animal,” according to a press release announcing a grant of $1,000 to Barn Buddies from the Pollination Project. The money is to help them build a barn to expand the program to younger children, ages 4-7. They will keep smaller ponies in a separate place for the smaller children. It will have a different, developmentally appropriate program for the younger ones. There is already a waiting list. The new barn will open this summer. “The earlier you can help a child attach, the better,” said Lee. Her family started adopting 20 years ago, when people almost always adopted infants. Now families adopt older children more often. Those children have suffered losses and sometimes abuse or neglect. It can be hard for them to trust and to love. At Barn Buddies, “You have both these somewhat wounded animals and children,” said Lee. They can nurture each other in a special way. It is a long, patient, journey to help the children develop trust and well-being, according to Lee. Volunteers teach horse safety to children and families and the right way to approach the animals. The animals sometimes choose a favorite person. “I have one little Shetland pony who is so patient,” said Lee. 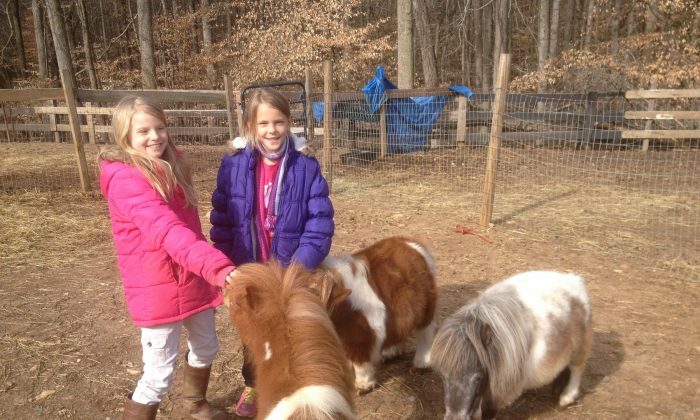 That pony had a tough life before coming to the sanctuary and now has an affinity for children. Conversely, a boy who has neurofibromatosis is drawn to a pony that lost both eyes to injury and illness. “He is the most tender child with any horse who has a wound.” It’s as if his illness gave him stronger empathy, said Lee. They are working on raising the rest of the money and recruiting more volunteers for the new barn. “We are just two moms who have a heart to see kids heal the way we’ve seen our kids heal. It’s just an overflow,” said Lee. Lee asked her formerly unsmiling daughter if she would like to volunteer at Barn Buddies. “Of course, mom, I will. I found my healing horse. I want to help other children find their healing horse,” she said, according to Lee. As with anything, the health of any one part of the body is not isolated.